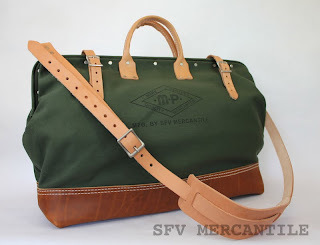 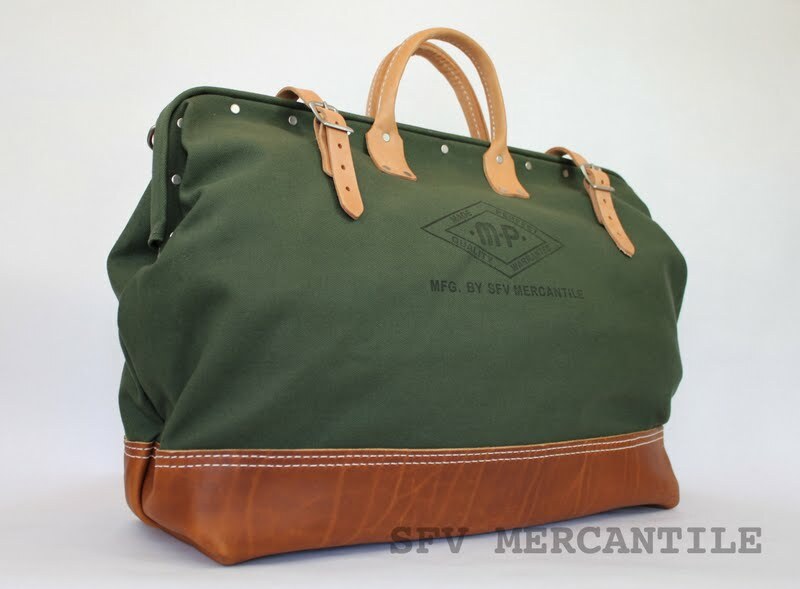 One of the new SFV MERCANTILE •M•P• Canvas & Leather Tool Bags available now via The San Fernando Valley Mercantile Co. Store. 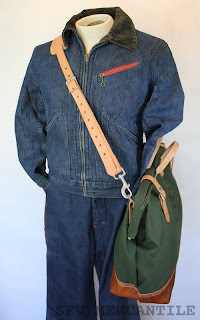 Taking inspiration from vintage BELL SYSTEM lineman's tool bags, this version retains virtually all of the features that contributed to the original bag's appeal and longevity, along with an upgrade or two for increased usability. The vintage BELL SYSTEM bags seen in this earlier post show just how little the basic design has changed over the years. I have been using vintage versions of these bags for years, mostly for work and hauling tools. Vintage condition often dictates present day use including just what you can safely carry without fear of picking up funky smells or soil. 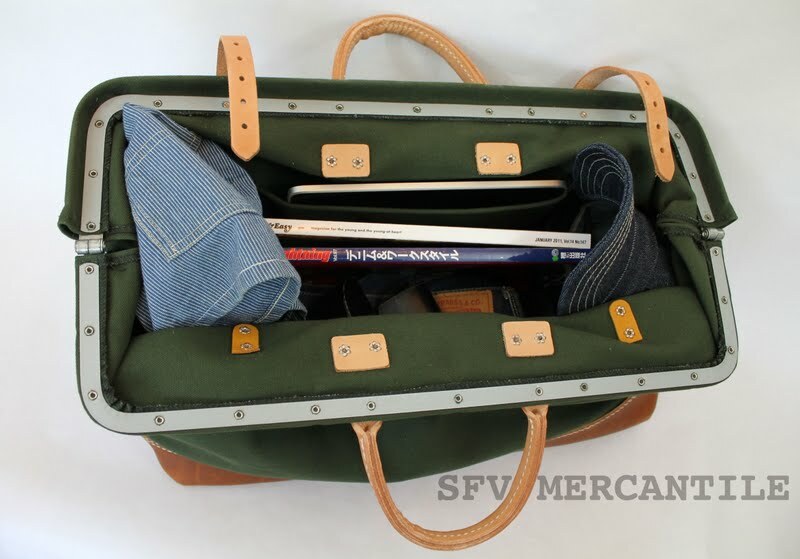 Remember the vintage bags were used to haul tools & climbing gear in their first life and carried or stored a whole other array of who knows what in their secondary life. We proudly offer this new bag feeling it represents the classic "best of both worlds" scenario... authentic vintage styling & details along with modern day usability. 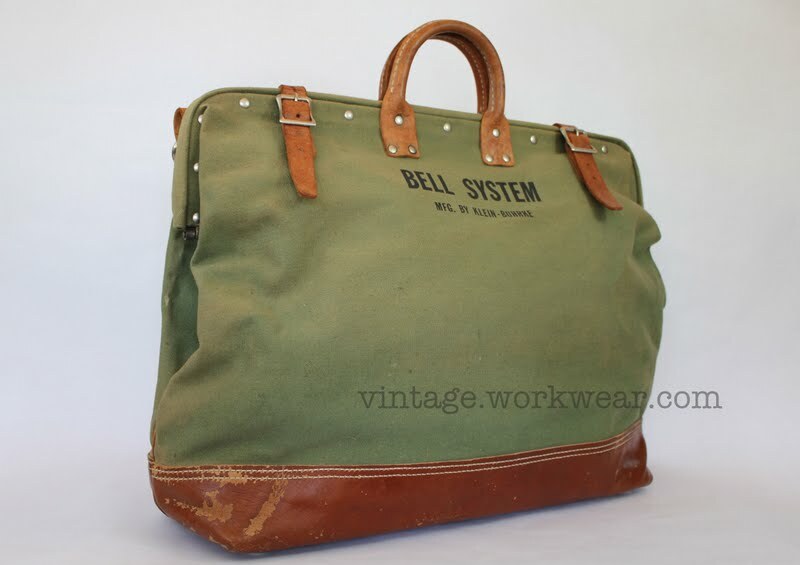 Labels: BELL SYSTEM TOOL BAG, Made in USA, SFV MERCANTILE, The San Fernando Valley Mercantile Co.